Our love for the Bay is what drives us. Photo by CBF Staff. From sewage and septic system failures; to polluted runoff from our farms, urban, and suburban areas; to climate change, the Chesapeake Bay faces many threats. 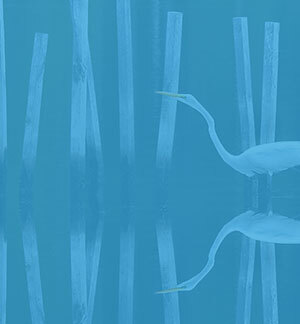 Here at the Chesapeake Bay Foundation, we are always fighting to save the Bay, whether through advocating for specific policies, taking polluters to court, healing the Bay through restoration efforts, or nurturing the next generation of Bay stewards through our education program. This past week with the celebration of Valentine's Day, we took a moment to reflect on what drives us. Simply put--we love the Bay. This national treasure is loved by many for countless reasons--the fun we can have in the great outdoors, swimming, boating, or fishing; the nature we can witness, from ospreys, to brook trout, to blue crabs; the stunning beauty we can experience, from a cool Bay breeze on a summer day, to water so still it mirrors the sky, to a gorgeous sunset. And lest we forget, the Bay not only provides us enjoyment, it also sustains us. The bounty from these waters provides millions of dollars to the economy and fills dinner plates across the country. No matter why you love the Bay and its rivers and streams, we're excited you're here to join us in our journey to clean these precious waters. Stay tuned as we continue to fight to save the Bay we all love. Can't get enough Bay love? Watch (and share!) this inspiring video of Rt. Rev. Eugene Taylor Sutton, Bishop of the Episcopal Diocese of Maryland, discussing how restoring our lands and waters and protecting the Earth for future generations is really an act of love. Charlottesville, VA: Enjoy an intimate dinner to benefit the Chesapeake Bay Foundation with music provided by Michael Coleman and Butch Taylor. Savor Bold Rock Cider, Rappahannock Oysters, and live music before a seated dinner of freshly prepared wildfowl and game by Chef Tomas presented with a selection of Spanish wines. Proceeds from this event benefit CBF. Click here for more information and to buy tickets! Richmond, VA: Enjoy tasty sweets and sweet knowledge at CBF's Desserts and Discussion, where we'll learn about different aspects of our local waterways! This month's topic is wetlands and their importance to water quality. Bring a dessert to share with the group and win a prize for the most delicious contribution! CBF will also provide coffee, tea, and other drinks. Click here to register!